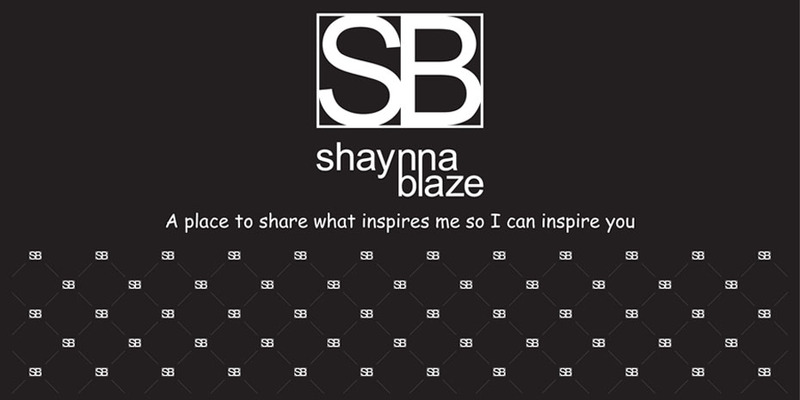 Shaynna Blaze: BEECHWORTH, BEES & HONEY. On a quick trip back from Falls Creek last week we dropped in for lunch as my husband had to try the the pies from the famous pie bakery, he ate enough that bordered on embarassing! 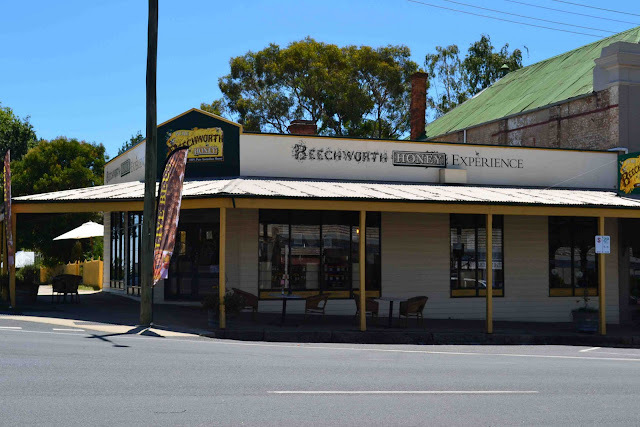 Beechworth is a place I have wanted to visit for a long time and after our fleeting visit we are already planning a week there to discover the town and its surroundings. 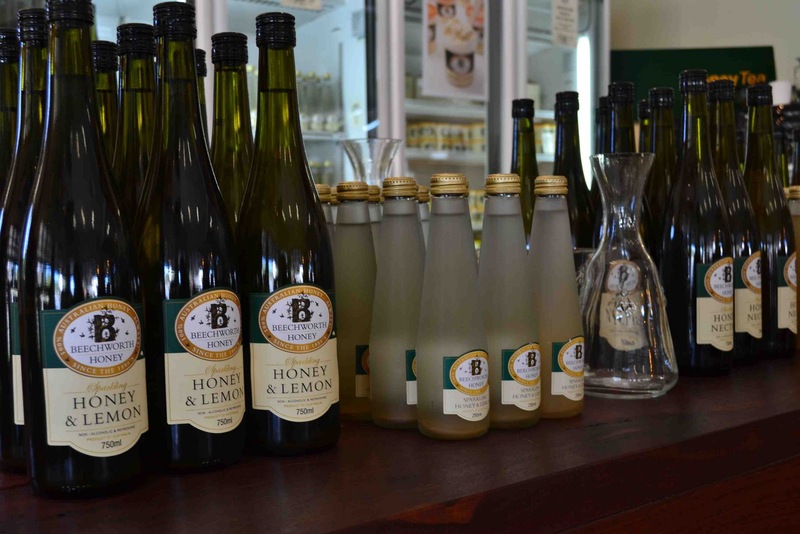 I was able to drag my husband and his bloated belly from the pie shop to take a sneak peak at the famous (everything here is famous - see Ned Kelly), Beechworth Honey shop. 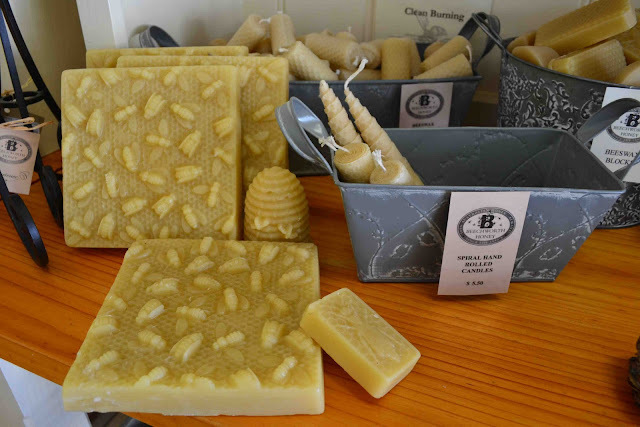 and buy honey wax candles. But of course the main thing is the honey, the huge amount of varieties is mind-blowing. We tasted most types and came home with Creamed Honey and Orange Blossom. 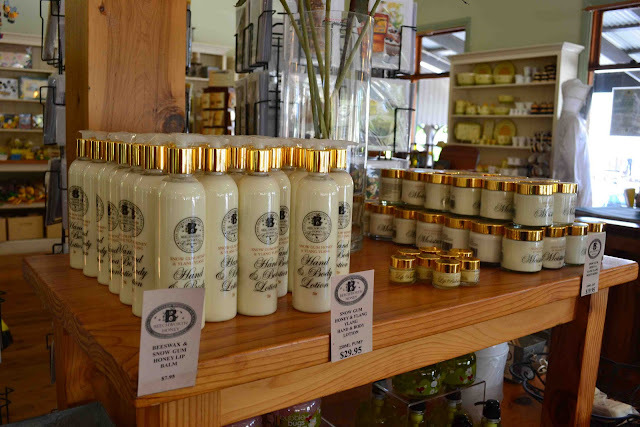 It looks like the next trip wont be far away, as we need to replenish the honey jars pretty soon! oh that place looks like a treasure! My favorite part of traveling and exploring is finding shops like that! I love honey. And would love to learn to taste it like you do a fine wine. LOVE the photography!! SITStahs #commenthour love coming your way! I enjoyed this. I'm inspired, you did it! I shall return!! What a fun spot!! Visiting from Comment Hour! That place looks so cool. I would not be able to tear myself away from watching the bees make honey. That all looks so wonderful! And the honey sounds delicious. Makes me want to see if I can find something similar near me! My husband would love to be a beekeeper some day... we just can't convince the kids! Very very cool Bee stuff!! love the photos! Cute shop! Love honey...although the big bee on the ceiling would freak me out a little! I agree with Caren and Karen, big bees aren't funny! :-)Love honey though! What a fun place! Great pictures. Mmmmmmm ... pie! Now I'm hungry! Looks like you had an AWESOME time! Sweeeeet! Visiting from the SITS Tweet Party #CommentHour! I love the soaps and candles. Can you pick me some up when you go back? 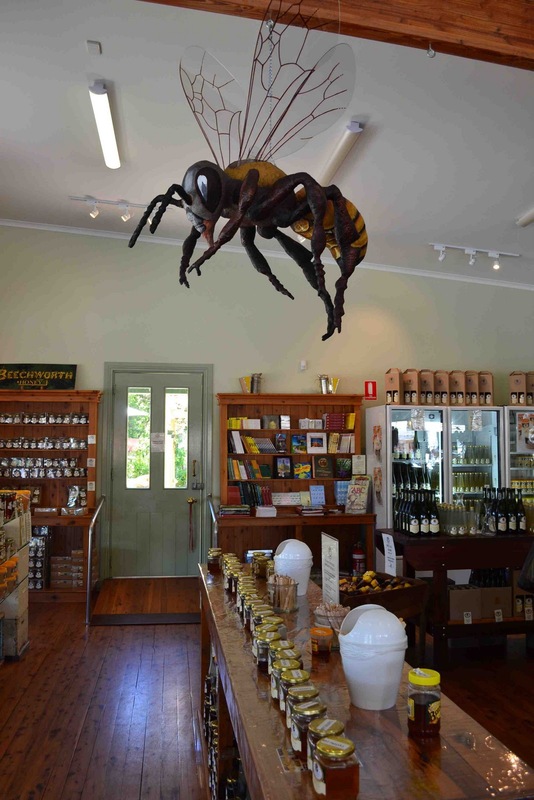 The Beechworth Honey Experience is one of the must see destinations in Beechworth. 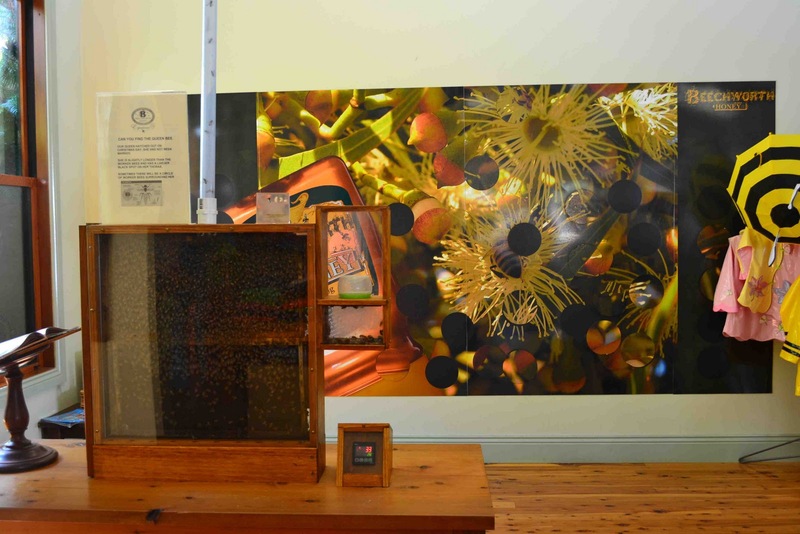 Not only does it offer some amazing honey products but the interactive tour and bee display is amazing. Even for those of us living here rarely does a month go by when my 3 year old does not ask to visit the honey shop!